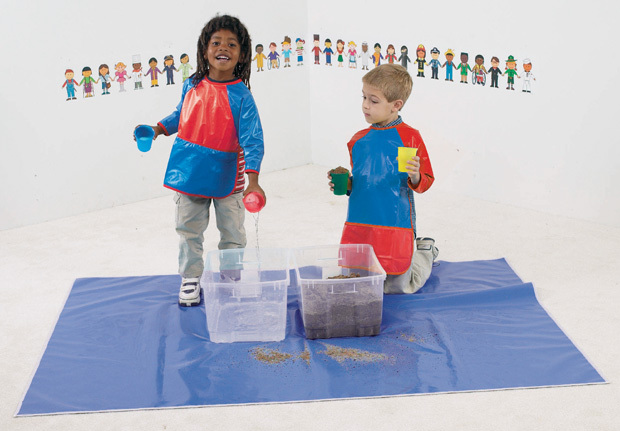 * Our easy clean soft 6 mil non-toxic fire-retardant vinyl smocks have hook & loop closures. * Long sleeves provide extra cover up during messy play. * Wide, deep pocket for easy storage of essentials. 8.75" x 8" x 0.5"